Celtics guard Terry Rozier and Cavaliers forward LeBron James is expected to cross each other's paths often in the Eastern Conference final. While the Western Conference finalists reached this round in pretty standard fashion, the Boston Celtics and Cleveland Cavaliers have each traveled a non-standard path. 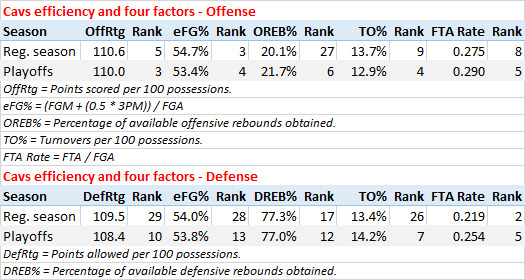 This series features an offense of LeBron James and shooters vs. the No. 1 defense of the regular season. But it may be determined on the other end of the floor, where both teams have had their issues. 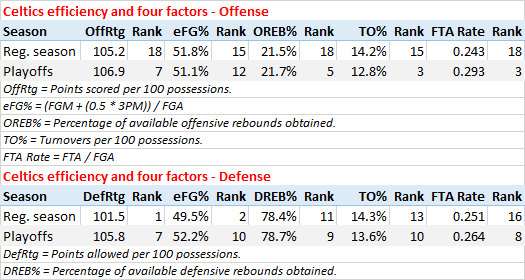 Here are some statistical notes to get you ready for the Eastern Conference finals, with links to let you dive in and explore more. Game 1 is Sunday(3:30 p.m. ET on ABC). Smart has committed turnovers on 15.3 percent of his possessions, the fifth highest rate in the postseason and the highest among players on teams that are still playing. LeBron James leads the playoffs points per game(34.3), free throw attempts per game (10.0), triple-doubles (2), fouls drawn per game (8.6), secondary assists per game (1.5), and points scored in the clutch (32).